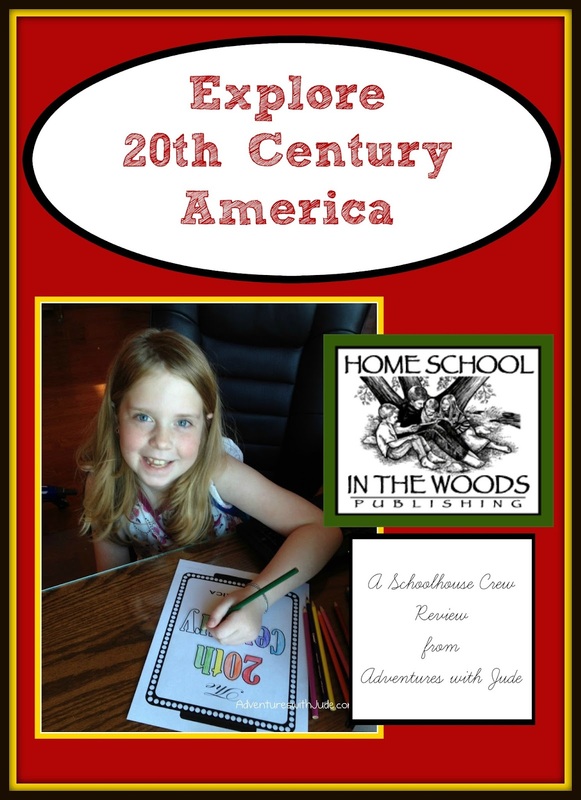 We recently were chosen to review a Lap Book from Home School in the Woods. We chose to check out the Hands-On History Lap-Pak: The 20th Century in America. The Lap Pack is very flexible - you can complete it using just the materials provided, or you can use each section as a springboard to explore deeper. Since we were doing it as an extra program (3rd grader Celia was planning to be the reviewing student), we planned to use it "as is." This program is available as a downloadable file ($21.95) or on a CD ($22.95). There is also special pricing available for co-ops or schools, making the program an option for everyone. It is advertised for grades three through eight. For a third grader, I think the overview was sufficient. However, for an older child, you could definitely make it a semester-long project by adding in other resources. Introduction and Directions - how to assemble and use the product. LapBook Project Masters - printable projects/mini-units themselves. As you complete them, you paste them into your lapbook. Reading Text Pages - print in a mini- or full-size book, or read from the screen. Celia had little problem comprehending these (she's at a low 4th grade level for reading). The program provides a wide variety of topics for study -- from art to advances in medicine; from the Civil Rights Movement to popular foods and fashions. While it provides great resources on its own, the program especially lends itself to "rabbit trail" studies. For example, Celia especially liked the fashion section. She liked seeing the different popular styles of each era. This was one part where we expanded our study, pulling out photo albums. She was interested to see how different the clothing styles were for the different generations of ladies in our family. 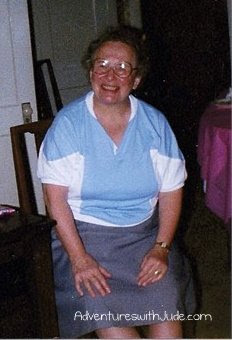 She also was surprised to see many of the clothes I wore as a teen were not too different from hers. (Apparently, the '80s are back in style. I'm not "old," I'm "retro.") 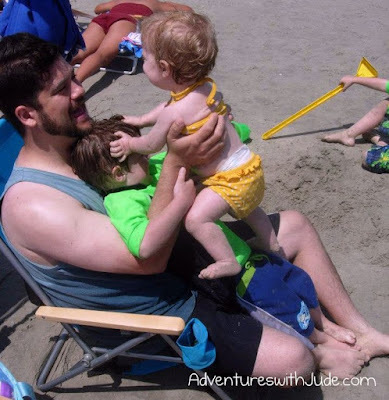 She was especially shocked at the bathing suit styles over the years! It was fun study to do with her! We had some great discussions on fashion, but I also got to share some family stories with her. Another section of the program focused on missionaries and Christians in the 20th century. As Catholics, we discussed the evolution of the Mass (from the traditional "Latin Mass" to the vernacular Mass she is familiar with), other post-Vatican II changes, and even how some prayers have evolved (from the long, very formal Act of Contrition I learned to the simpler wording she was taught to use for the Sacrament of Reconciliation). Ever the girly-girl, she tied that it into fashion, too. Many of Celia's great-great aunts entered the convent. Her great-grandfather Bill Danks was one of 15 children, and three of the 11 girls became Sisters of St. Joseph. (A fourth sister became a Dominican sister.) 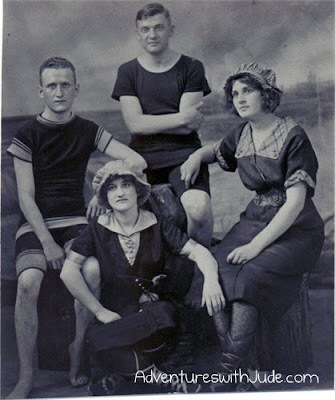 Celia's great-grandmother Midge Emig Danks also had a sister who entered the SSJ order, and she was amazed at how elaborate Aunt Dot's habit was. The first photo is from when "Sr. Mary Euphrasia, SSJ" made her final profession of vows as a Sister of St. Joseph, c. 1942. 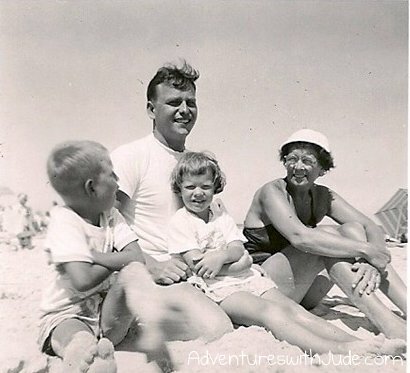 The second picture is how I remember Aunt Dot. 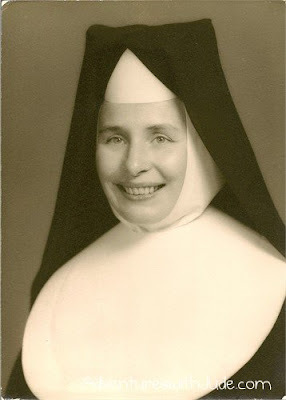 The members of the Order had been permitted to revert to Baptismal names (so she was "plain old" Sister Dorothy Emig, SSJ) and wear regular street clothing. I am glad that we were able to take these trips down "Memory Lane." She also liked learning about the past and how much things changed over the course of a century. Doing this together helped make up for the aggravation that was printing this packet. The other lapbooks I have used in the past just have you print a file and start learning. This required printing page-by-page, and hovering at the printer to feed in the right paper -- different colors, different weights, etc. (different colors for different activities/vocabulary, etc.) It was also expensive to print, because you only need a few pages of each color, yet have to purchase larger-than-strictly-necessary quantities. It does make for a beautiful lap book, but I would prefer to spend my time doing, not babysitting the printer. 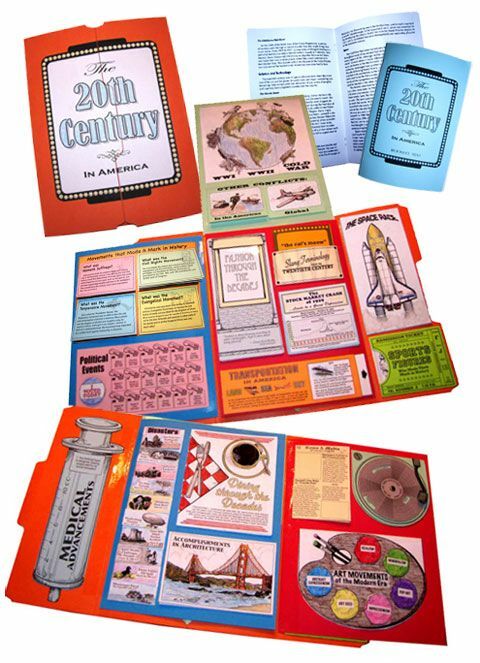 While we were busy working on Hands-On History Lap-Pak: The 20th Century in America, other Crew members were assembling Great Empires and Hands-On History Activity-Pak: Composers. Check out what they thought of their programs!